Congratulations to team champions Bishop Hendricken (Class A boys), La Salle (Class A girls), Barrington (Class B boys and girls), East Greenwich (Class C boys) and Smithfield (Class C girls). 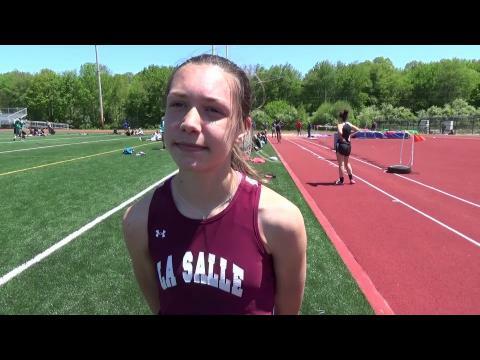 La Salle coaches talk about victory at Class A meet. 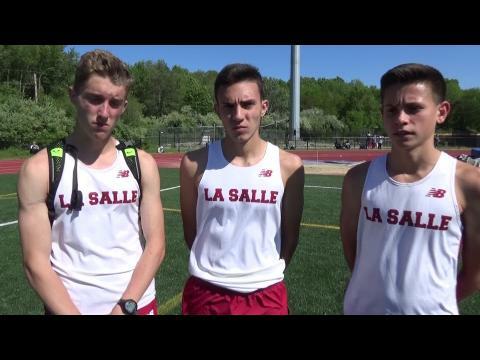 La Salle trio finishes 1-2-3 in 1,500m. La Salle Academy junior wins 3K and 1,500m. 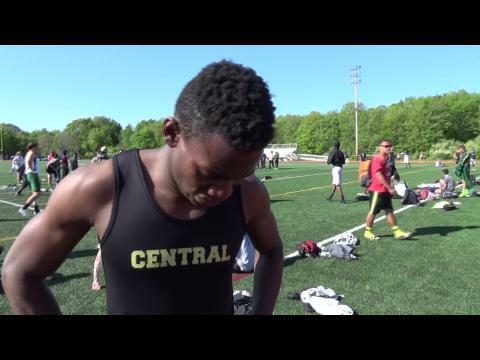 Central sophomore breaks tape in 100m, 200m. 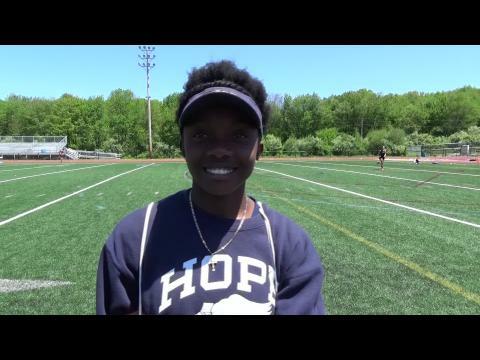 E3 Academy (Hope) senior captures 100m, 200m, 400m and anchors first-place 4x100m relay. 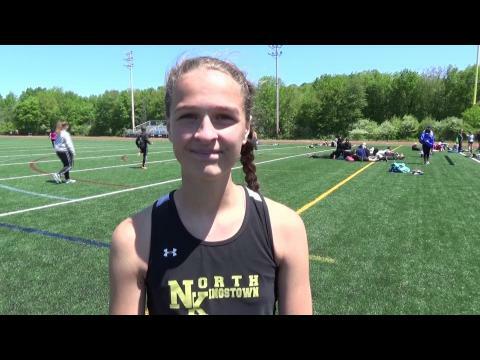 North Kingstown freshman captures 100m hurdles with time of 14.90. 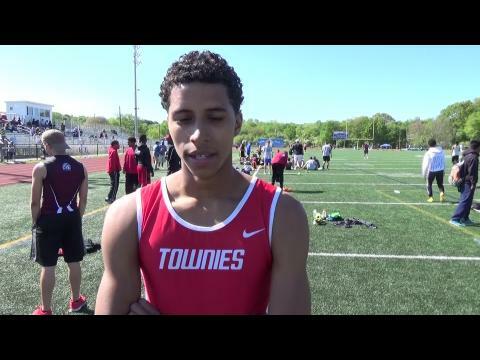 East Providence standout cops 400m. 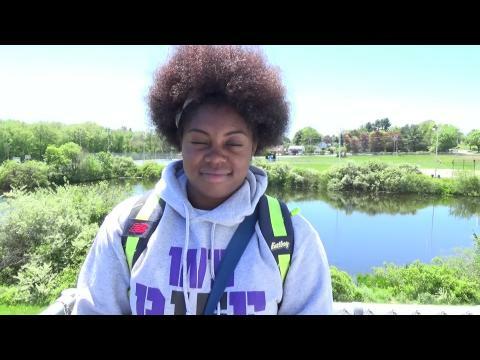 Classical senior takes shot put, hammer and discus, places second in javelin. 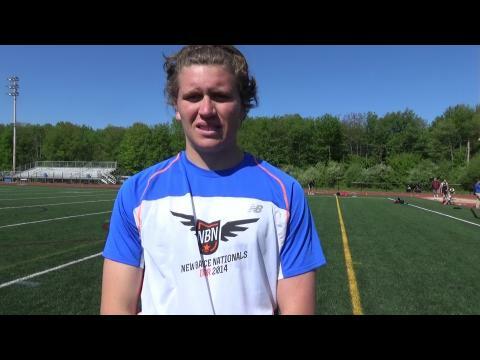 Bishop Hendricken senior takes high jump at 6-2. 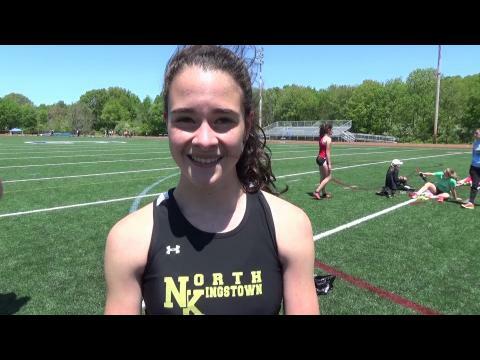 North Kingstown sophomore takes 800m.